Raj said he had decided to contest the election as an Independent from the Bengaluru-Central constituency as "I cannot stay in any party for more than three months." 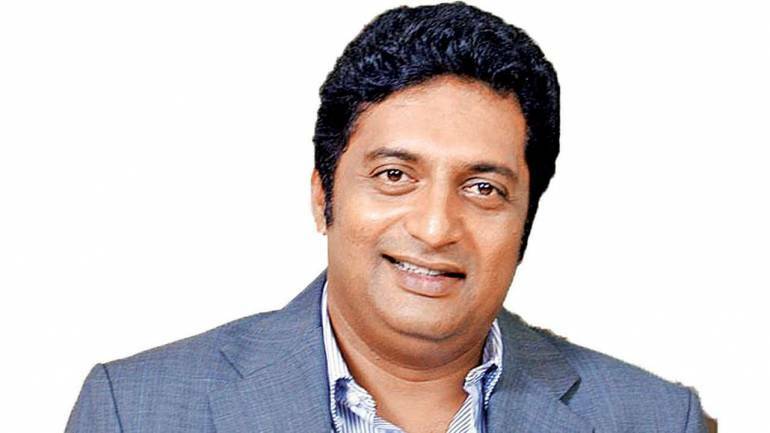 Actor Prakash Raj, who recently announced his decision to contest the coming Lok Sabha election, said Friday he would never join any political party, alleging the parties were not honest. "I want to be the voice of the people," he said at a press conference here. The critically-acclaimed actor, who has been active politically ever since the murder of journalist-activist Gauri Lankesh here on September 5, 2017, had announced his foray into politics more than a fortnight ago. Commodities@Moneycontrol | What happened in the commodity space today? Asked whether the anger with which he has taken a plunge into politics would help him, he said, "There should be anger against dishonest people." Known for his anti-BJP stand, Raj distanced himself from the present turmoil in the Congress-JD(S) coalition government in Karnataka over alleged attempts to dislodge it by the saffron party. "At the time of (May assembly) elections I knew whom I am opposed to but I did not support anyone. I have no connection with their squabbling," Raj said. Coming down on the BJP with regard to its alleged attempt to topple the coalition government, Raj said, "The BJP is a bunch of shameless people." "They call themselves 'gau bhakts' (worshippers of cow) but on an important festival of worshipping cow (Makar Sankranti), they camped in a resort in Delhi instead of being at home," he said. The BJP MLAs were camping at a luxury hotel in Gurugram, a move the party has defended saying it was to protect their lawmakers from poaching attempts by the ruling coalition in the state, Raj said. Asked to comment on the Congress's view that his contesting election from the Bengaluru-Central constituency would weaken the secular forces, the actor said, "I welcome secular parties supporting me but if the Congress says that my contesting election as Independent will take away secular votes then let them support me." To a question, Raj said he was not averse to joining the "Mahagathbandhan", the grand alliance of anti-BJP parties against "communal" forces. He said he decided to contest the election from Bengaluru-Central because he grew up in the area where the electorate was secular in nature. The Lok Sabha seat is presently held by the BJP's P C Mohan. Raj earlier claimed that Bollywood filmmakers stopped offering him roles as he has been critical of the Narendra Modi-led government.